Female celebrities have to put up with a lot of guff online. Case in point? 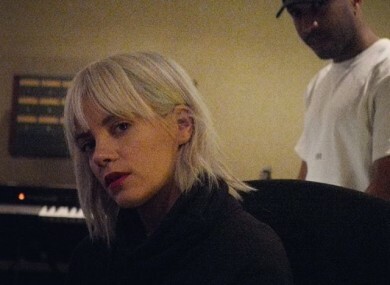 This morning, Lily Allen received a charming tweet from a fan asking if he could sniff her privates. But instead of ignoring it, Allen decided to respond to his request in no uncertain terms. Has… Lindsay… Lohan… converted… to… Islam? That’s the rumour the gossip mill is churning out today! The actress wiped all photos from her Instagram and changed her bio to read, “Alaikum salam,” which is an Arabic greeting that translates to “peace be upon you”. This has led to rumours that the actress has converted to Islam. As surprising as it might seem on the surface, it actually kind of makes sense. The Daily Beast notes Lohan was spotted carrying a copy of the Quran in 2015 and said at the time that “it opened doors for me to experience spirituality”. Additionally, Lohan has been learning Arabic and aligning herself with the President of Turkey, Recep Tayyip Erdogan. In a predictably off-kilter interview with Turkish TV network Haberturk, also last October, Lohan praised the Turkish strongman’s approach to an attempted coup that had left more than 2,100 people injured and 300 people dead. Finally, the Hughie Maughan tan controversy continues to rage on. The Dancing with the Stars competitor caused a stir over the weekend when he showed up looking like this. Yesterday, he claimed that his bronzed appearance was the result of using make-up that once belonged to The Voice of Ireland judge Jamelia. Only for make-up artist Lisa O’Connor to hit back and deny that she had anything to with the mishap. O’Connor told the Irish Daily Mail that Maughan kept “piling more and more tan” on himself and said it was “devastating” to have people blame her. Last night, Hughie took responsibility for the incident. Well, kind of. Is there anything to be said for holding a tribunal to get to the bottom of this? Email “Lily Allen brilliantly responded to a lad asking to 'sniff her privates'... it's The Dredge”. Feedback on “Lily Allen brilliantly responded to a lad asking to 'sniff her privates'... it's The Dredge”.